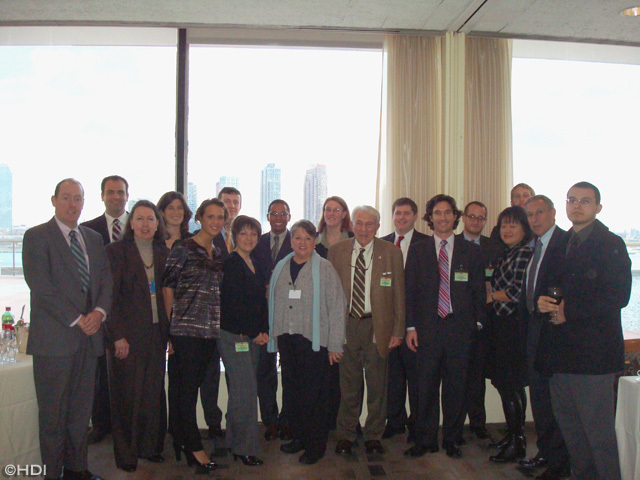 Humpty Dumpty Institute : Congressional Delegations, 27th Delegation to the U.N.
< 26th Delegation to U.N. The morning began with a working breakfast at the U.N. Millennium Hotel. A number of representatives from countries currently serving on the U.N. Security Council attended. Political Affairs Minister Counselor Jeff De Laurentis of the United States Mission to the United Nations discussed current U.S. priorities at the U.N. Security Council. In addition, the group heard from the representative of the current President of the U.N. Security Council, Mr. Vice Skracic, Minister Counselor of Permanent Mission of the Republic of Croatia. 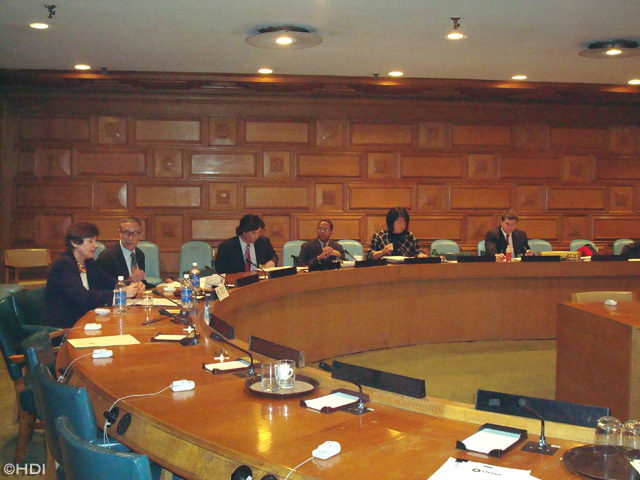 Following the breakfast program, policy briefings commenced at the U.N. Secretariat. Mr. Jehangir Khan, Khan Deputy Director for West and Central Asia, U.N. Department of Political Affairs talked about the United Nation’s active role in Iraq. He explained how the work of the United Nations compliments the presence of the United States, and how both are working for the rebuilding of a stable Iraq based on the rule of law. He stressed that the United States should see the U.N. as a partner in Iraq during this critical period. The next briefing was given by U.N. Peacebuilding Support with Mr. Eloho Otobo, Deputy Head of Peacebuilding Support Office (PBSO). Mr. Otobo detailed how the PBSO helps to maintain peace in conflict-affected countries by obtaining financial and resource support for governments and NGOs in the affected countries to lead peacebuilding efforts. The countries which the PBSO currently supports are Burundi, and Sierra Leone and Guinea-Bissau. An in-depth briefing on current U.N. management issues was then given by Ms. Angela Kane, U.N. Under Secretary General for Management. Ms. Kane focused on the United Nations’ attempts to revamp its outdated personnel system, and to rationalize the personnel policies of the U.N. Secretariat with the U.N. Specialized Agencies. She also discussed in detail the upcoming renovation of the U.N. Headquarters Building. In addition, Ms. Kane entertained questions from the staffers on how the United Nations is working to ensure transparency and fairness in its worldwide hiring practices. 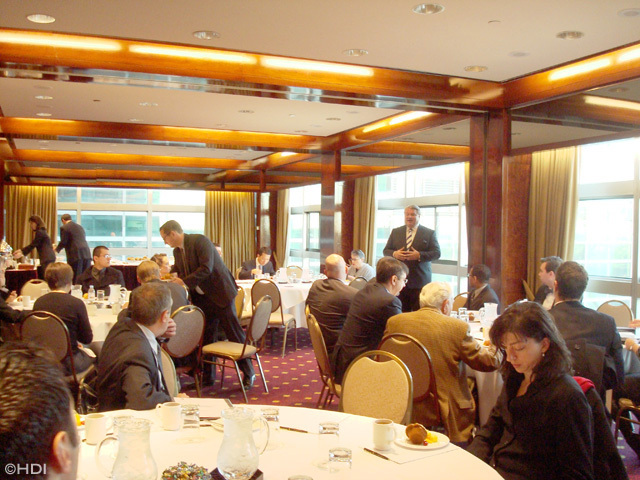 The final presentations occurred at a working lunch in the U.N. Delegates Dining Room. The delegation participated in a discussion of policy and development issues with Mr. Douglas Gardner, Deputy Director of the Bureau for Development Policy, Mr. Ted Maly, Senior Advisor, Government Relations at UNICEF, Ms. Deborah Saidy, Director, New York’s Office, World Food Programme, Mr. Ashok Nigam, Associate Director of the U.N. Development Group, and Mr. Eric Falt, Director of Outreach Division, U.N. Department of Public Information. The discussion centered on the international community’s efforts to provide development assistance during the current worldwide financial crisis. The Congressional Staffers were positive about the briefings and said they would recommend to Members of Congress to personally visit the United Nations to get a better sense on how the United Nations can be used to advance U.S. priorities of international stability and economic development.